When BenchPrep co-founders Ashish Rangnekar and Ujjwal Gupta uploaded their first app, a GMAT test-prep product, to the then-new App Store in 2009, they never imagined it would become a multi-million-dollar business. 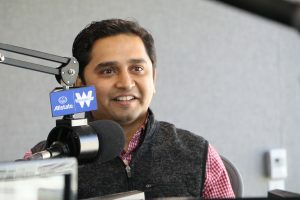 Ten years later, fresh from wrapping a $20 million Series C round for their omnichannel ed-tech platform, Ashish and Ujjwal are helming a team of 70 from an office in the Willis Tower. A decade is basically a lifetime in the tech world, and many startups never survive the kind of complete business-model overhaul that BenchPrep pulled off. Here are Ashish’s top five lessons learned along the way. In some ways, it’s a classic startup origin story: recognize a pain point and devise a solution. Ashish was a busy professional planning to apply to MBA programs. He was getting ready to take the GMAT when he realized there weren’t any viable digital test prep choices. Ashish partnered with his undergrad college roommate, Ujjwal, who was then a PhD student, to build a solution. They tapped a developer friend to help, wrote the initial test questions themselves, and launched GMAT Express, the first-ever exam prep app to hit the market. They quickly realized they had a product users craved. Fast-forward to 2010: Watermelon Express raises $2.2 million in a Series A led by Lightbank. The next year, it rebrands as BenchPrep and goes cross-platform. 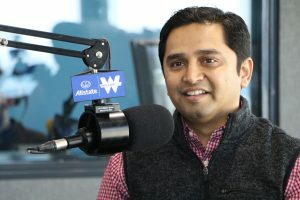 By 2012, the two founders raised an additional $6 million after Ashish won a business plan competition at University of Chicago’s Booth School of Business. Their concept at the time, he explains, was a direct-to-consumer model based on selling individual test-prep courses to the public. Today, the company delivers white-label SaaS e-learning solutions to more than 30 partner companies, including ACT, CompTIA, the National Conference of Bar Examiners, Hewlett Packard Enterprise and textbook publisher McGraw-Hill. “I almost feel like after 10 years, I’m already on my third startup,” Ashish says. “We are on a mission to enable today’s education and training companies to digitally transform themselves so they can survive and thrive in the world of online learning,” says Ashish. Investors tend to be attracted to shiny ROI objects like blockchain or whatever else is hot in fintech. Organically grown concepts like BenchPrep risk being ignored. Ashish advises to follow your inner compass. 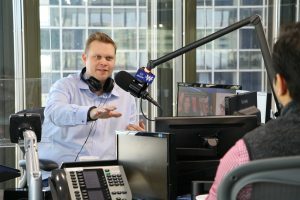 “If you look at the VC model, it’s to find the two out of 100 companies that are going to return investment to their fund,” he says. Their pivot from B2C to B2B, for example, hinged on a goal of growing to $10 to $25 million in revenue. The solution was to collaborate with his team create a set of guiding principles for the company.